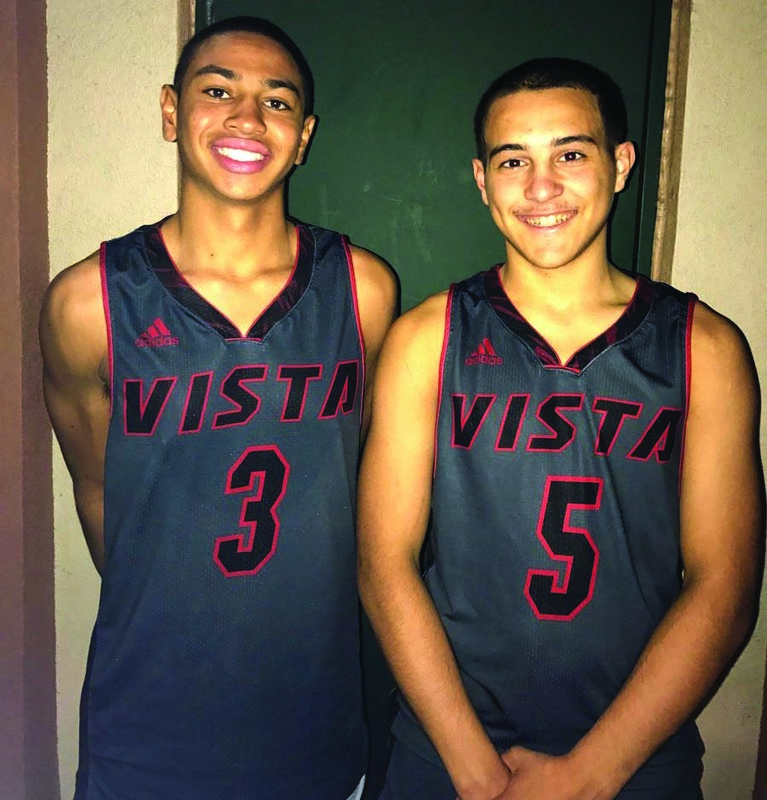 REGION — When Taurus Samuels and Isaiah Morris enrolled at Vista High School in 2014, the Panthers were coming off of their worst season in seven years. But they believed that they could be part of the group that returned the Panthers to prominence. Flash forward 3 ½ years, and the Panthers are right where the senior guards thought they would be. The Panthers return the core of their team that was a basket away from advancing to the state’s regional semifinals after making it to the CIF San Diego Section Open Division semifinals. With that as the backdrop, Vista is the No. 1 team in The Coast News’ preseason Top 10 poll, over region standard bearer Torrey Pines, league rival San Marcos, upstart Canyon Crest Academy and traditional power La Costa Canyon. Vista Head Coach Anthony Bolton, coming off of a 28-5 season, said the Panthers aren’t paying attention to preseason rankings. They are focusing on each game at a time. “Obviously it is an honor Vista can get recognized, but we don’t concern ourselves with rankings,” Bolton said. 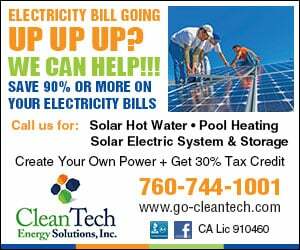 Bolton’s confidence in his team is well placed, as it returns arguably the top backcourt in San Diego County with Samuels, who signed to Dartmouth College last month, Morris, who signed with Cal State University Dominguez Hills and junior guard Jordan Hilstock. The Panthers will have their work cut out for them to maintain the No. 1 spot. They play in one of the toughest nonconference tournaments on the West Coast, the Damien Classic; and the Avocado East League is arguably one of the three toughest in San Diego. The Skinny: The Panthers were one basket away from a CIF State Regional Semifinals berth, and return the best backcourt trio in the Section in Samuels, a Dartmouth signee, Morris, signed to CSU Dominguez and Hilstock, who is courting several Division 1 programs. The unheralded bigs, Moreno and Coats, are underrated pieces. The Rub: Which of the young guards will step up behind the Big 3. Henry and Anderson were big pieces of the puzzle last year, and guards like Morris and Taylor will need to be ready to play critical minutes in the Panthers tough schedule. The Skinny: San Marcos’ worst season in recent memory ended with a 25-point drubbing to eventual D-1 Champion Santa Fe Christian in the D1 quarters, but almost every player of note returns. This team is big, long and deep. Clouet, the senior sharpshooter, has grown 2 inches and is a bona fide college prospect. And the team’s weakness last year, point guard play, is addressed with arguably the top prospect in the 2021 class, the 6-5 Howell. This could be San Marcos’ best team in the last 10 years, and that is saying something. The Rub: Team speed. The Knights are big, but have a lot of slow-footed forwards, which could be an issue when matched up against superior team speed. The Skinny: Death, Taxes and John Olive. Year in and year out, the Falcons exceed expectations due to better-than-advertised players and a system that extracts the best out of them. This year, Sullivan, a crafty and underrated lead guard, heads the system, flanked by one of the best scorers in the junior class in Bryce Pope. His twin brother Michael is a knockdown shooter in his own right. The Rub: Depth, especially in the front court. Behind Viera, who is entering his first full varsity season, is a sea of unknown. Fayer, a freshman who has been the subject of a lot of preseason buzz, could be asked to play early if Viera and others don’t get it done. The Skinny: Defense is the Ravens’ calling card. The senior quartet of Elsom, Acosta, Metz and Crespy have all bought in and Gelfman, a solid sophomore, fits right in. Offensively, this team can shoot it from deep, with three proven shooters in Acosta, Elsom and Crespy. Now in Division 1, the Ravens will be a tough out for any team they face in Division 1 or the Open Division. The Rub: Depth is a recurring theme in the Top 10. The Ravens’ top 5 is as potent as any group in SD, but they will need younger players and newcomers to emerge as viable reserve options. The Skinny: After a couple of mediocre seasons, La Costa Canyon is showing signs of a turnaround. Cook is one of the region’s top juniors and is poised for a breakout season, Patterson has improved in the post and can stretch the floor, and the complementary pieces — Daugherty, Boyd, Carroll and Co. — are very good. Williams will provide nice athleticism on the interior and is immediately eligible after transferring from Sage Creek. The Rub: Consistency. The Mavs had some big highs last year (wins over Santa Fe Christian and El Camino), but also had some hiccups (a stunning loss to Sage Creek). In order to take the next step, the Mavs will need to get up for all opponents, regardless of their record. The skinny: The defending Division 1 champion Eagles’ outlook is slightly downgraded with the season-ending injury to star forward Demitri Washington sustained in football, but the Eagles still have a potent core from last year’s squad. Stevenson is a Swiss Army knife type who does a little bit of everything, and Askew has blossomed into a skilled wing. McRoskey and Gray have size and skill in the backcourt. Martin, a chiseled combo guard, is the future of the program. The rub: Again, the loss of Washington. The Eagles do have the sturdily built Stevenson and 6-3 Luke Sanders, who also plays football and is a load to contend with in the paint, but behind them is a very unproven frontcourt. The Skinny: Flanagan and Hale, a talented albeit mercurial scoring guard, are an underrated back court pairing, and the team plays a gritty style of defense. A Tom Tarantino-coached squad can’t be discounted. Losing Cremonesi, who transferred to Santa Ana Mater Dei, hurts the outlook. The Rub: The Wildcats will need to find consistent perimeter shooting from its backcourt. Both Flanagan and Hale are streaky shooters who can get hot in a hurry, but are prone to peaks in valleys in their percentages. The Skinny: The Grizzlies have one of the most talented senior duos in San Diego in Oregon State signee Washington and grid-hoop star Olave, but the rest of the supporting cast is largely unproven. Stanich is the emotional leader of the group, and is improved skill wise. The Grizzlies will need Peters and Israel to take the next step and some of their younger players to give them just enough off the bench to keep Washington and Olave fresh. The Rub: Bench depth. As mentioned, the Grizzlies graduated a lot of key role players from last year, so the Grizzlies will need to find answers in a hurry. The Skinny: Head Coach Sam Eshelman has done quite the turnaround at Carlsbad since joining the Lancers after a 9-45 nadir the two preceding seasons. After winning 15 games last year, the Lancers return their best team during Eshelman’s tenure, led by senior grid-hooper Ramos, one of six players over 6-4. Plousha, a 6-4 athletic wing, has the most upside, and Schmidt and Pietrocini are big, skilled forwards who play hard. And the return of Tursini, who attended Carlsbad as a freshman but moved to Arizona last year, is huge from an energy perspective. The Rub: The Lancers will need a point guard to emerge to move into the next tier of teams. Adams will get first crack, and Eshelman expects Plousha will play some “point forward” as he did last season. The Skinny: The Patriots graduated the 2017 core that brought the program back to prominence, but they still have key pieces from last year’s Division 2 finalist. Miller is a tremendous point guard who elevates everyone around him, and he is flanked by two underrated seniors, Palmer and Tovar. Tovar is a lightning-quick lefty whose flash is a perfect complement to Miller. Orange Glen doesn’t have a ton of size, but they spread the floor, share the ball and shoot it from deep. That’s always a great combination. The Rub: Rebounding. Miller is an excellent rebounder for his size, but the Patriots will need their undersized forwards to patrol the glass in a Coastal League where size rules. Taurus Samuels, 6-0 2018 PG, Vista — Dartmouth-bound floor general is a four-year varsity starter and the region’s best pure point guard. Warren Washington, 6-11 2018 PF, Mission Hills — Blessed with rare combination of size, athleticism and skill, the Oregon State-bound forward will attract tons of attention from opposing coaches. Isaiah Morris, 5-11 2018 PG, Vista — The Panthers’ emotional leader blossomed this summer into a college prospect, signing with Division 2 CSU Dominguez Hills. Jordan Hilstock, 6-3 2019 G, Vista — A three-year varsity starter, Hilstock is garnering Division 1 interest and is considered one of the top on-ball defenders in the section. Graham Cook, 6-3 2019 G, La Costa Canyon — Smooth scoring point guard leads a Mavs team looking to reclaim past glory. Bryce Pope, 6-2 2019 SG, Torrey Pines — One of the best shooters in Southern California, Pope has become a bona fide scoring threat from all over the court. Finn Sullivan, 6-4 2018 PG, Torrey Pines — Following in the footsteps of his brother, Marek, the late-blooming guard prospect is courting several Division 2 programs. Kody Clouet, 6-4 2018 SG, San Marcos — Sharpshooter who has grown 9 inches since the start of high school, returns to lead a dangerous Knights squad. Jalen Flanagan, 6-4 2018 G, El Camino — One of the top two-way players in the region, Flanagan can score and defend with the best of them. Damien Miller, 5-11 2018 PG, Orange Glen — A walking triple double threat as a senior, the unheralded guard takes over the reins of last year’s Division 2 runners up. Matthew Stevenson, 6-4 2018 F, Santa Fe Christian — Last year’s unsung hero in the CIF Division 1 championship game is front and center for the Eagles.